Electronic reproduction of the postcard: Nicolaus [Izomaterial] / K. B. Printed in Germany: NVSB, [after 1909]. 1 card: color offset. 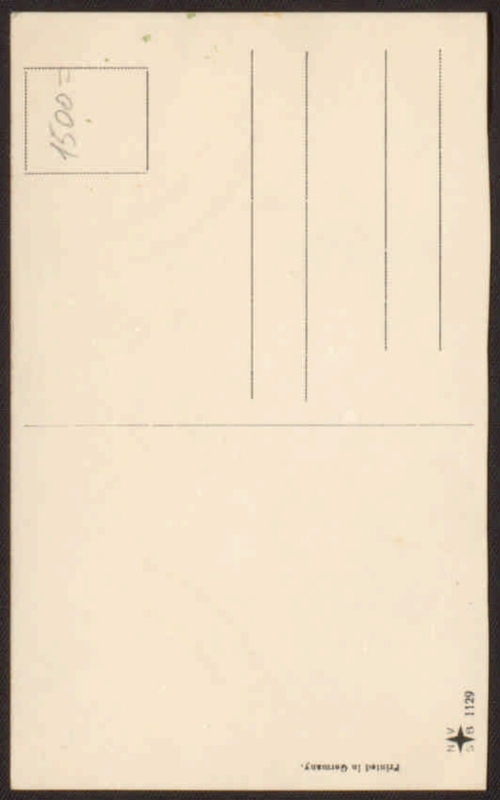 On the reverse side: the publisher's logo - the letters NVSB around the four-pointed star, serial number - 1129. Location: Children's Museum of the postcard, St. Petersburg. In the foreground - the image of Emperor Nicholas II, in the background - the formation of soldiers. 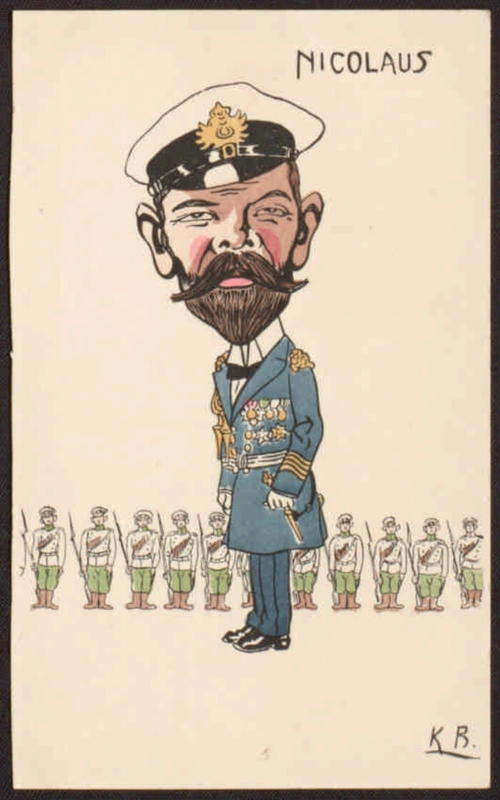 Caricature of Emperor Nicholas II. The inscription in the upper left corner: "NICOLAUS". In the lower left corner of the initials of the artist: "K. B." . I. K. B. .. II. Presidential Library (St. Petersburg) .1. Nicholas II (emperor of Russia, 1868 - 1918) - in the cartoon - Postcards. 2. Russia. Army - Postcards. 3. Postcards in the Presidential Library fund (collection). 4. Power (collection). 5. 1917: February-October (collection). 6. Russia in the faces (collection). 7. The House of the Romanovs (collection). 8. The First World War (collection). 9. Caricature. 10. Art postcards - Germany - 1909 - 1914. 11. Art postcards - Germany - 1914 - 1918.